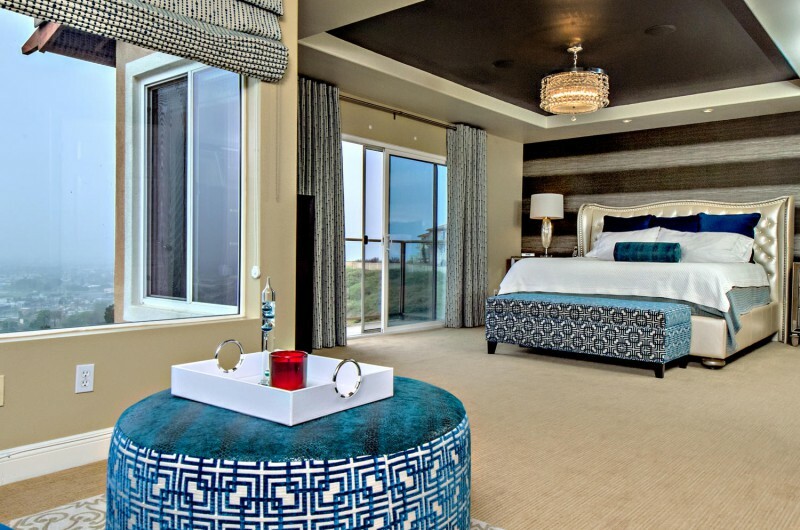 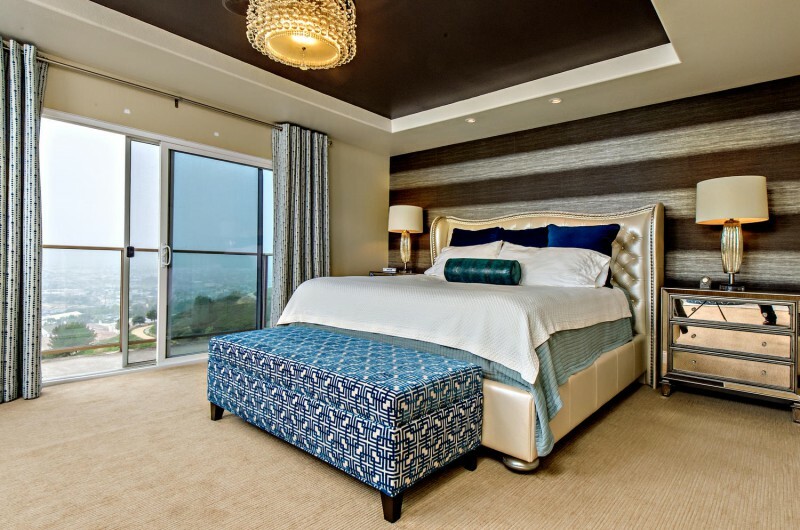 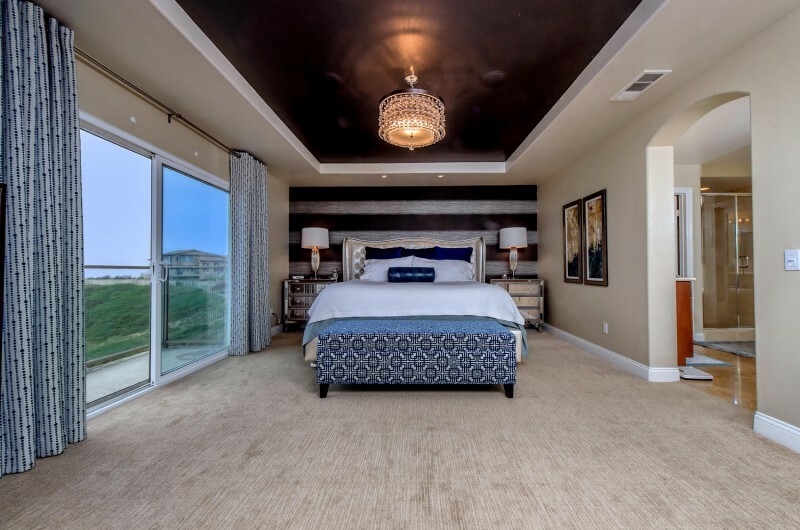 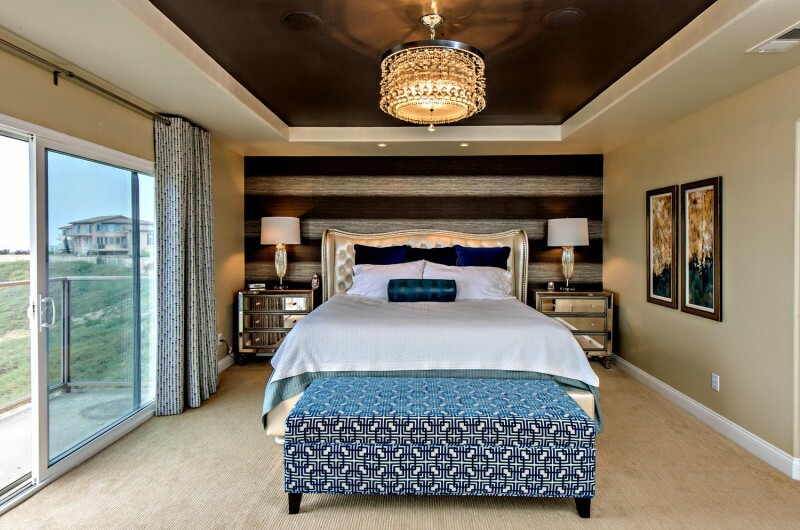 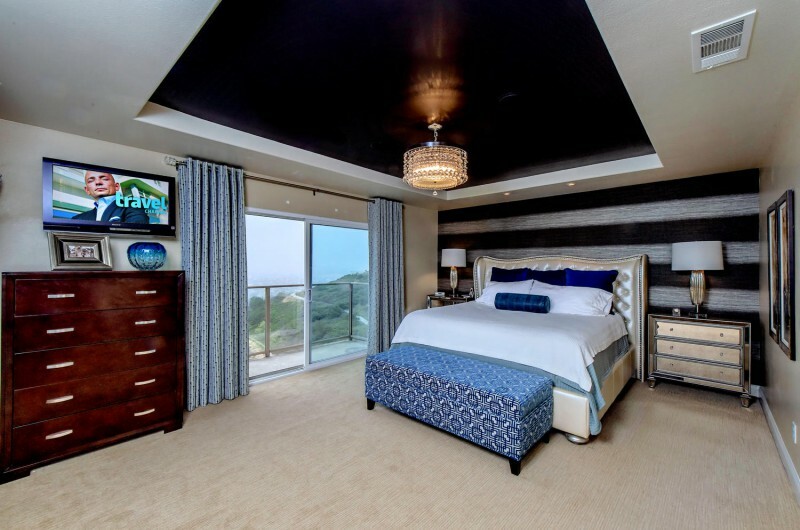 Master bedroom clients had the “Glam” tufted bed. 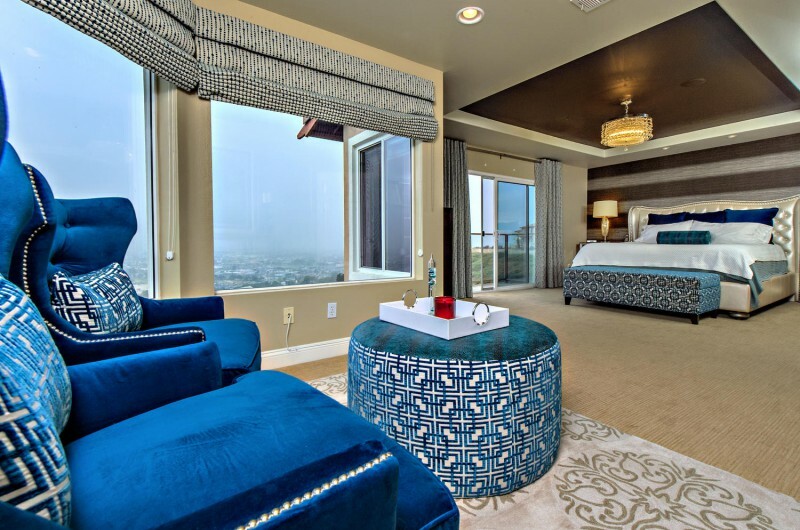 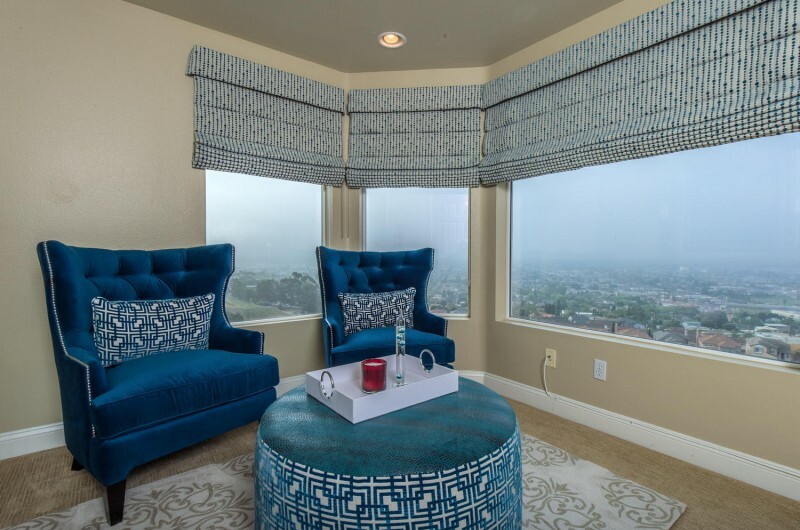 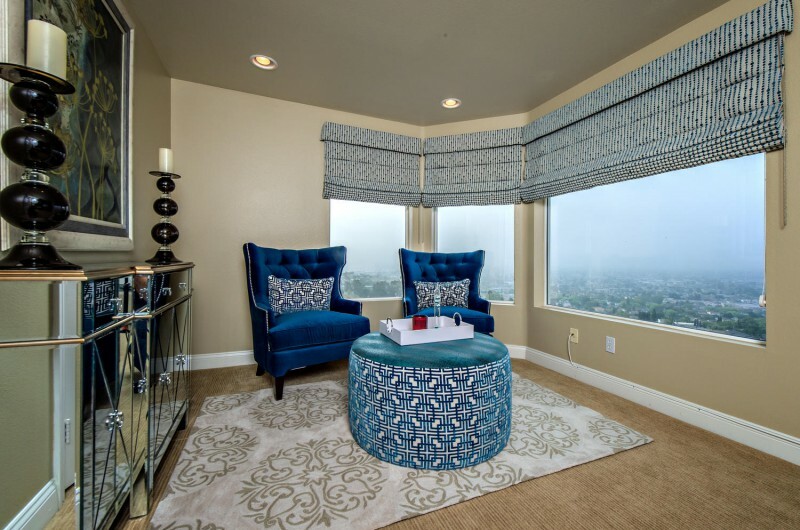 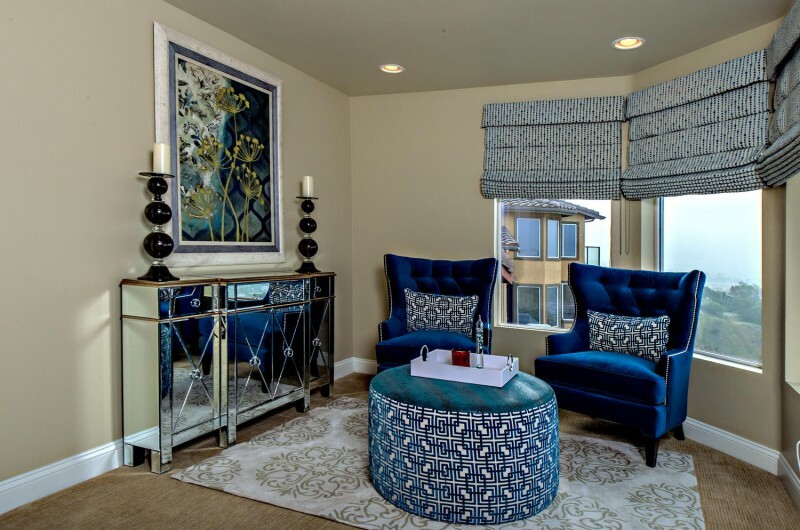 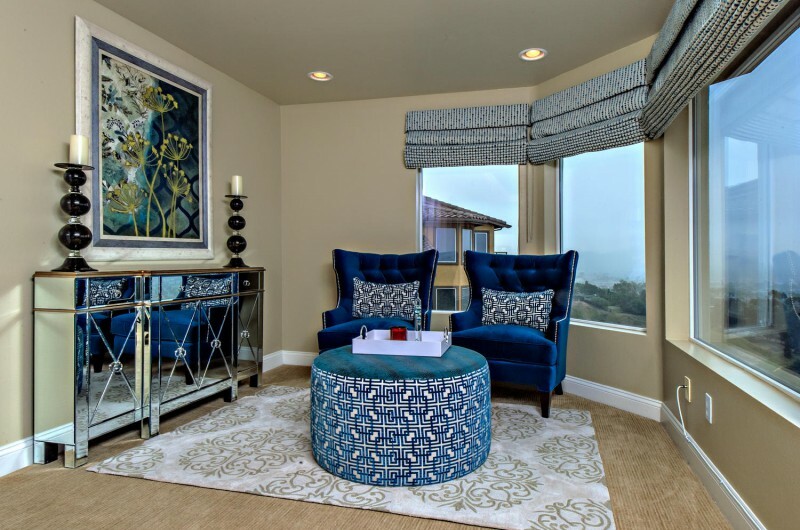 Which set the tone for this room. 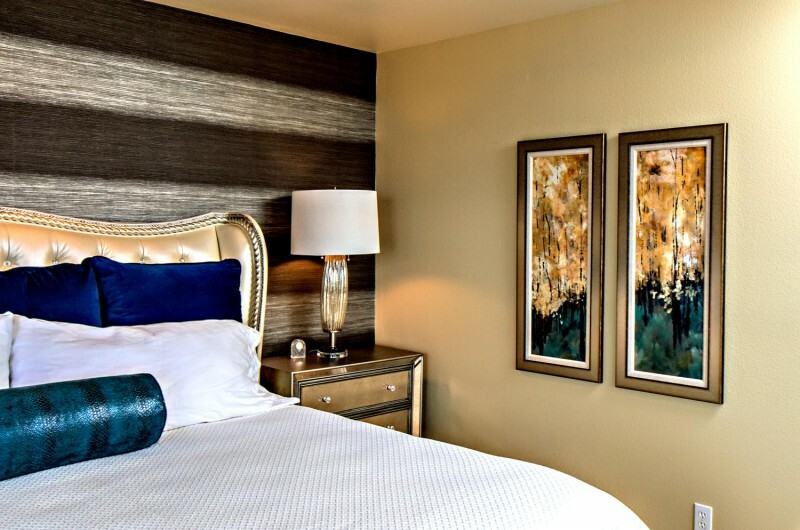 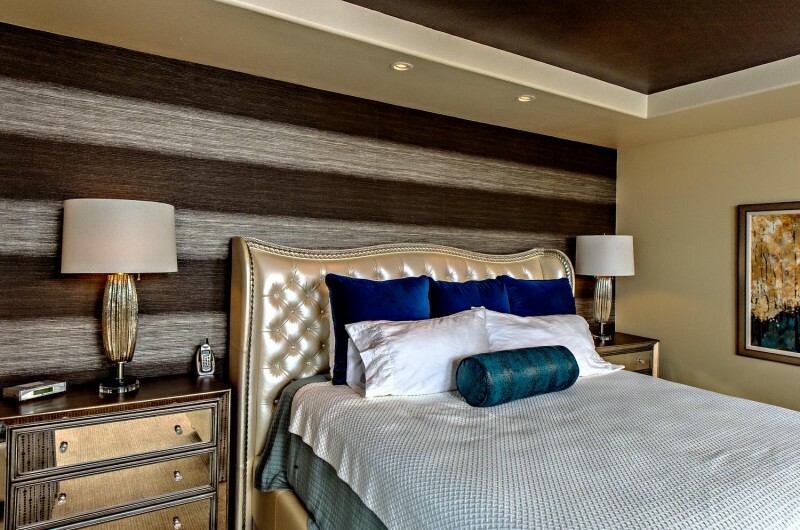 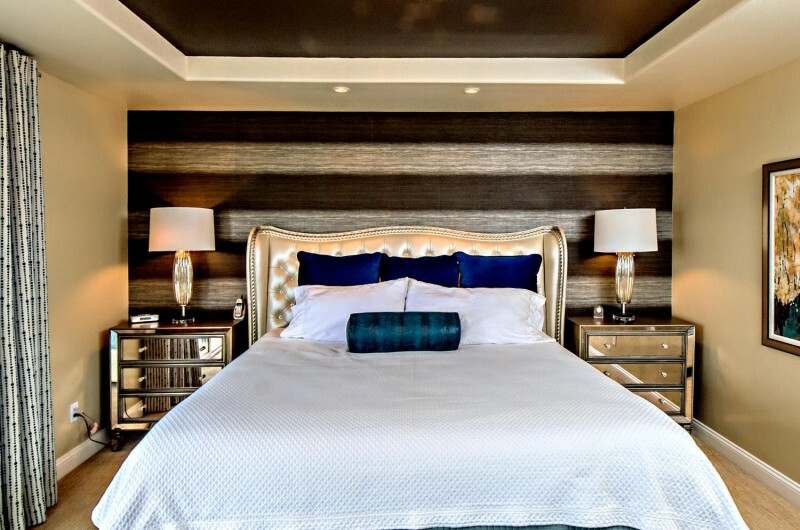 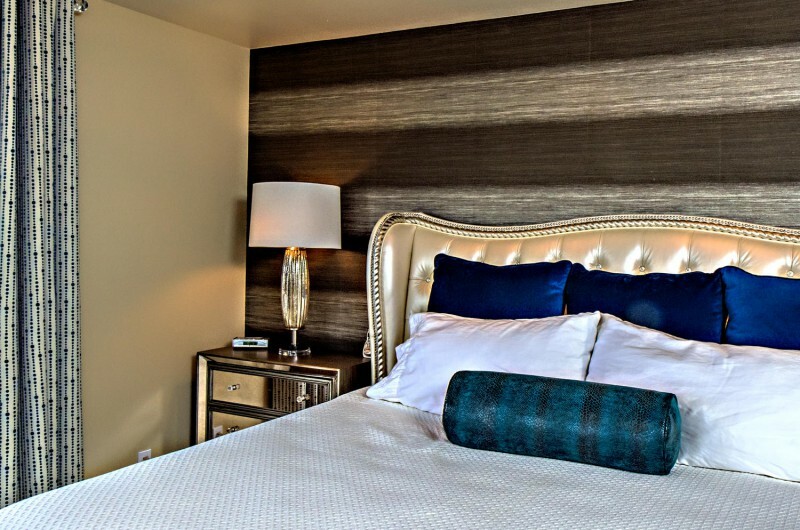 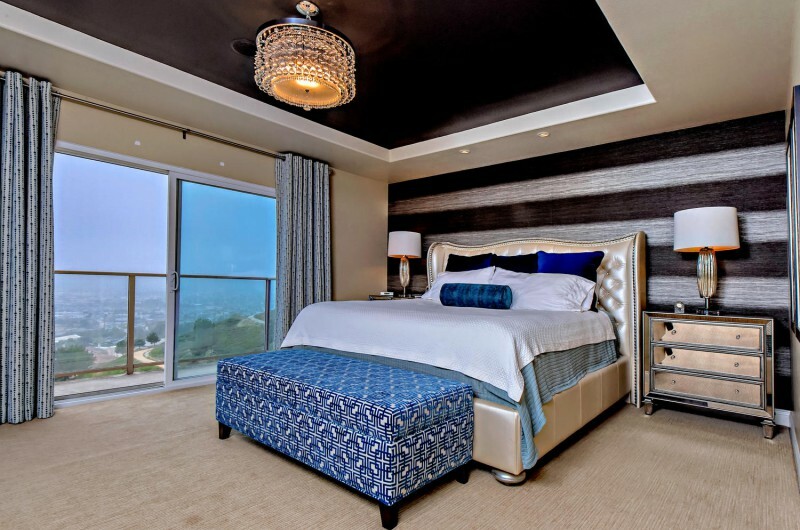 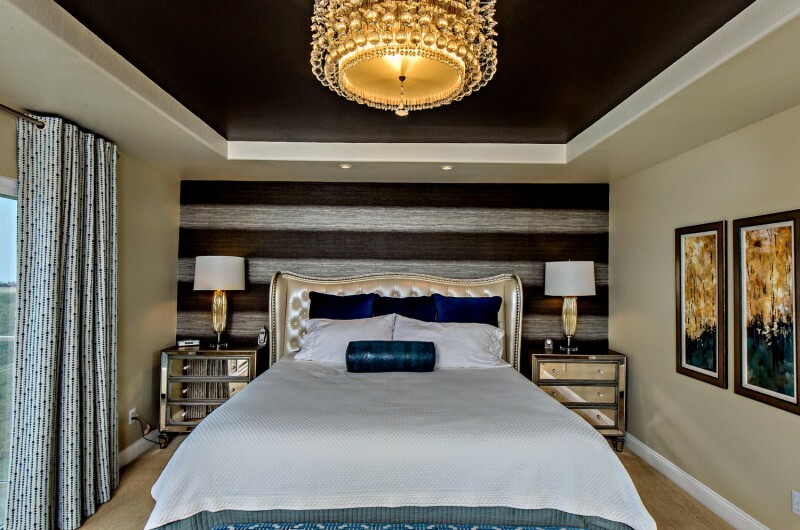 I used a dramatic striped wallpaper to make the bed appear larger, along with mirrored nightstands for the added glam look.